Traveling with an infant can feel nerve-racking: What if your baby gets fussy on the plane? What if she won't sleep in a strange crib? And you don't even want to think about changing a diaper at a germy roadside bathroom. But in many ways, vacationing with your child will never be easier. 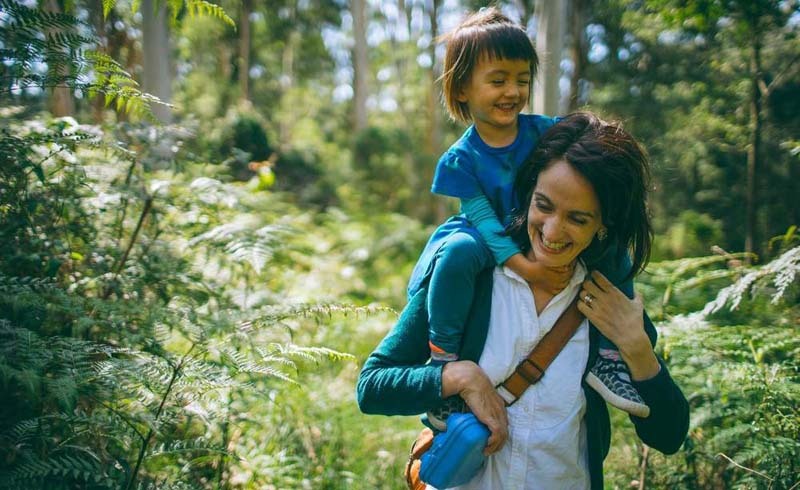 "Babies can be surprisingly good travelers," says Shelly Rivoli, author of Travels with Baby: The Ultimate Guide for Planning Trips with Babies, Toddlers and Preschool-Age Children. "The major advantage is that they're not very mobile yet." 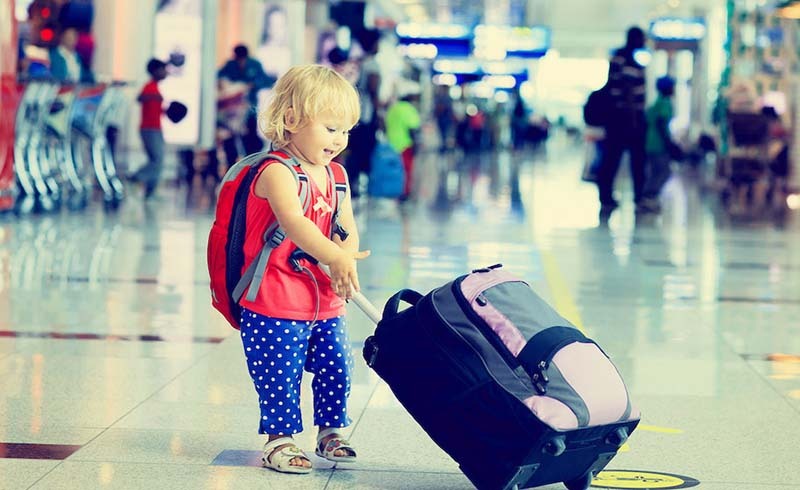 Pack smart New parents tend to overpack, says J.J. Levenstein, M.D., a Los Angeles-based pediatrician. "Unless you're traveling to a third-world country, you can buy diapers and formula anywhere," she says. "And don't take more than a three-day supply of baby clothes. You can always do laundry at your destination." Whether you're going by train, plane or automobile, allot one diaper per hour of travel time. Bring a solid supply of baby wipes or cleansing cloths for quick head-to-toe clean-ups, adds Levenstein -- diaper blowouts and spit-ups always happen at the worst possible time. A couple other musts if you're flying: "Be prepared to nurse more if you are exclusively breastfeeding in order to keep baby hydrated. If your baby is over 6 months old and bottle-fed, sips of water or formula can accomplish the same thing," she says. To avoid ear pain from cabin pressure, offer a pacifier or bottle during takeoff and initial descent. Combat germs Make sure baby's vaccinations are up-to-date, and ask your pediatrician about giving baby a flu shot before traveling. "Especially if you're flying, the flu vaccine offers a layer of protection," explains Levenstein. "No matter how careful you are, shared air really can't be avoided in a plane." If you're traveling abroad, keep in mind that the strains that cause the flu in the United States may be different than those in other countries. Another smart move: Bring any medications your infant takes, plus three or four extra days' worth in case your return is delayed. If a medical problem (i.e., a whopping double ear infection) forces you to cancel travel plans, call the airlines and hotels to see if they'll negotiate on nonrefundable fares, suggests Levenstein. "A faxed letter from your pediatrician may help. People can be surprisingly understanding when it's a true emergency." Adjust your mind-set Know that road trips will take twice as long with a baby, warns Rivoli. "You need to build in lots of little breaks, stopping every two to four hours," she says. "Let baby stretch and wiggle; maybe roll on a blanket even if he's not crawling yet." If possible, break your trip into a couple of days. "It's helpful to arrive at your destination early enough for baby to adjust to a new setting before it's time for bed," Rivoli adds. Leave the big stuff behind In many cities, rental companies (babysaway.com, rentittoday.com) will deliver the big-ticket items (crib, car seat, swing, high chair, etc.) to your destination. It beats schlepping baby gear through the airport or trying to cram it in your trunk. Many car rental companies also rent car seats for a small daily fee, so check with them before you begin your trip. Whether you rent or bring your own, a decent stroller is a must, says Rivoli. "There are so many situations where you need to strap the baby in for a few minutes: a restroom, or a hotel room that needs baby-proofing. Sometimes it's handy just to be able to stroll her to sleep in a strange place." Layer the duds Dress baby in easy-on, easy-off pajamas for travel, recommends Levenstein, and then add layers for warmth if need be. "When you're going through airport security or just changing a diaper, you want to keep everything simple. You don't want to be taking her shoes, socks and jacket on and off."